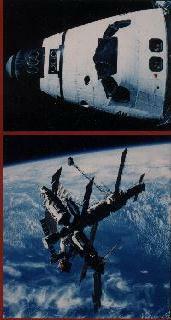 In the December issue of 1998 we told you about the mission that Jerry Ross, member of the Clan Ross Association of the U.S.A., as astronaut, was going to make in that time. Some time ago we received a large parcel from the United States from Jerry Ross. This parcel contained two items. The first one was a collection of woven woolen swatches of a number of Ross tartans that Jerry took with him on the STS-74 mission to the Russian space station Mir. The second was a pictoral montage that captured the significant events of the same flight. These items were accompanied by some documentation and a Certificate of Authenticity. The STS-74 mission took place from 10 till 20 November 1995 and was flown with the Space Shuttle Atlantis. During the mission 3.4 million mile were traveled while completing 129 orbits of the earth. 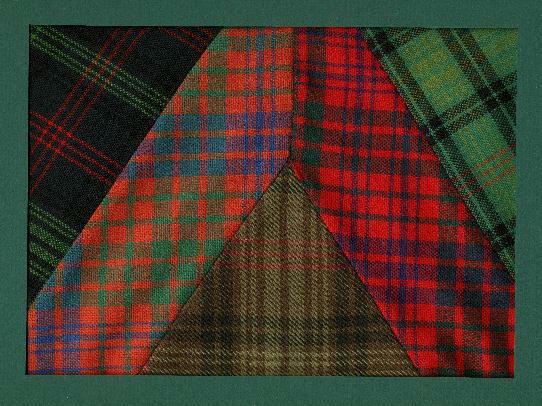 In his accompanying letter Jerry states: "'Ross Tartans in Space" represents the wide dispersal and the far flung achievements of the members of the name and Clan Ross, of the families associated with Ross, and indeed, of all Scots! In fact, four of the five crew members of this mission have definitive Scottish roots. The setts presented here are as diverse as our clan members." 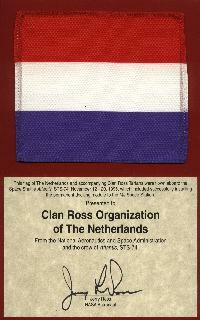 Other setts have been presented to each of the Clan Ross Associations of New Zealand, Australia, Canada, the United States, to the Tain and District museum and Clan Ross Centre and to the Chief of Clan Ross, David Ross of Ross. figure 1, Ross Tartans in Space. From left to right: Ross hunting tartan (modern), Ross tartan (ancient), weathered Ross hunting tartan, Ross tartan (modern) and the Ross hunting tartan (ancient). 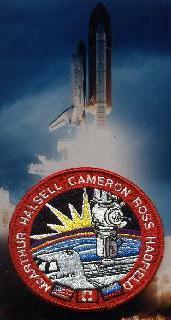 figure 2, Photo's and badge from the STS-74 mission.